Social Login allows your users to connect with one click to your Magento shop by using their social network accounts. Gather rich demographic information (age, gender, phone numbers ...) about your users without requiring them to fill out any forms. Obtain pre-validated email addresses and increase your data quality. Social Login seamlessly integrates into your Magento shop so that you and your users don't have to start from scratch. 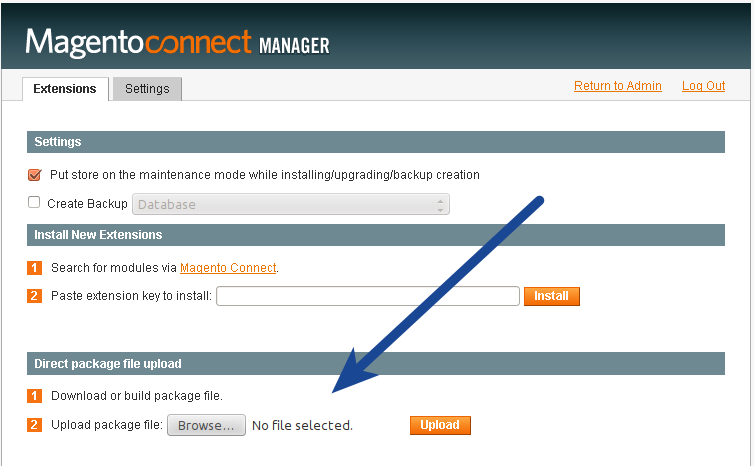 Logout from your Magento administration area and then login again to refresh the Magento cache. The Social Login configuration page will display an error if you don't relogin. 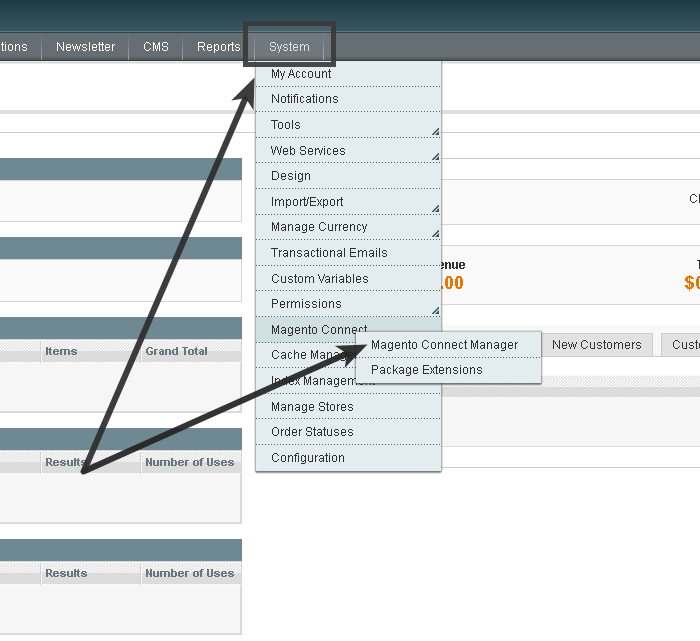 This is not an error of the extension, but a limitation of Magento. 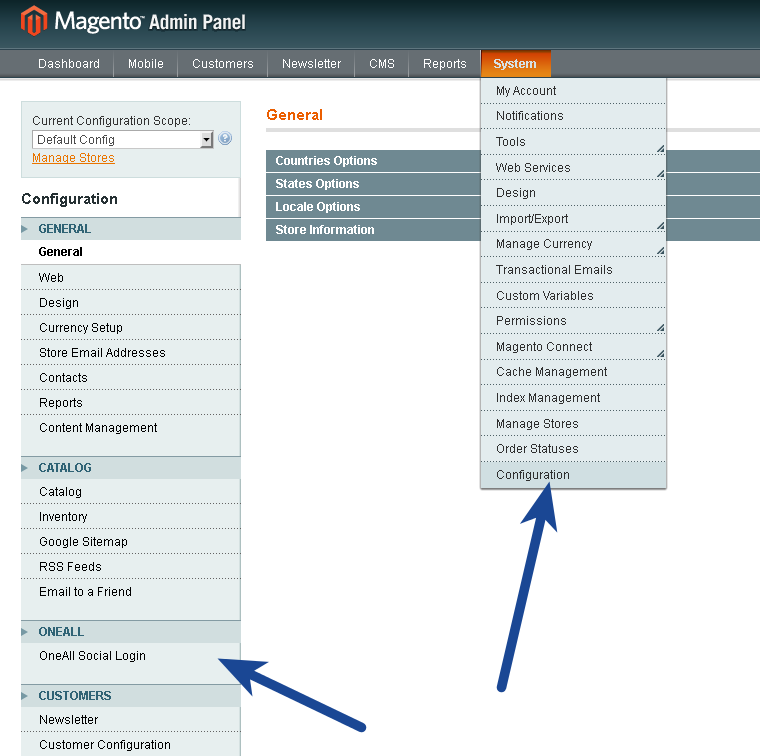 Login to your Magento administration area, navigate to System \ Configuration and click on the OneAll Social Login link in the left navigation bar. Select the social networks that you would like to use by setting each of them to Enable. a. I get an error 404 when opening the Social Login setup in the Magento administration area. b. Class 'OneAll_SocialLogin_Block_Adminhtml_System_Config_Fieldset_General' not found. c. I see a white page when logging in with a social network.